Look, it's so not 2009 anymore. 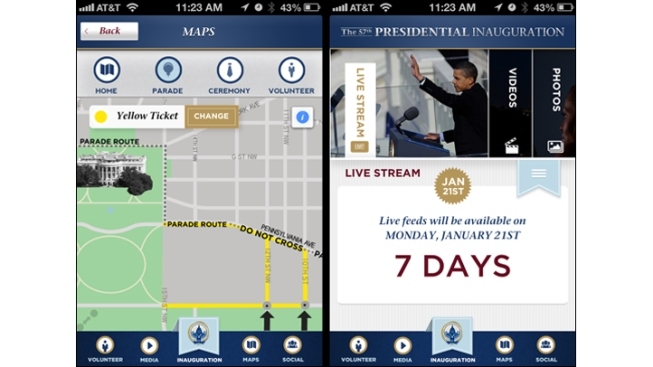 The Presidential Inauguration Committee has jumped on the smartphone bandwagon with its first-ever app for inauguration weekend. Available for iPhone, iPad and Android devices, the app lets attendees find access points, viewing screen locations... and those all-important porta-potties. Choose "get me there" on various events to have your route mapped. The software even takes into account your ticket color to get you to the right gates. 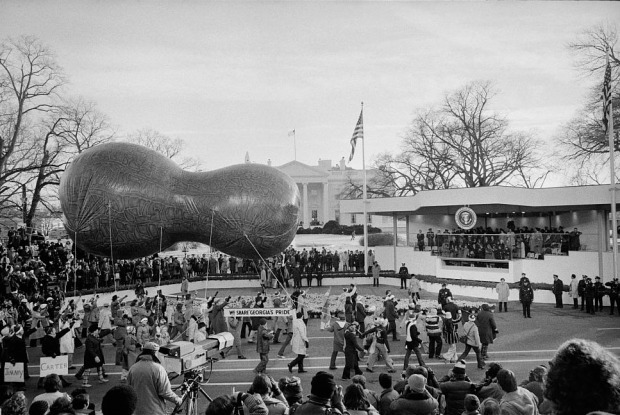 Users can also check the schedule of official events; find news, photos and videos about the inauguration; and search (and RSVP) for National Day of Service volunteer opportunities. You can download the free app here, or search the App Store or Google Play.